For the Rv’ers who wish to see more of the beautiful British Columbia mountain scenery, they should take Hwy. 99, which leaves Hwy. 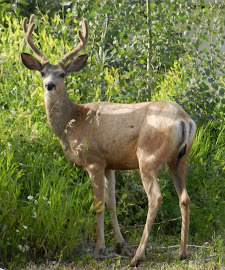 1 just north of Cache Creek and drive 73 km (40 mi) from the Hat Creek Ranch into Lillooet, B.C. It is becoming an easier drive with the new road improvements being made and the beauty of the area is so well worth the drive. The CN bridge over the Fraser River at Lillooet, B.C. 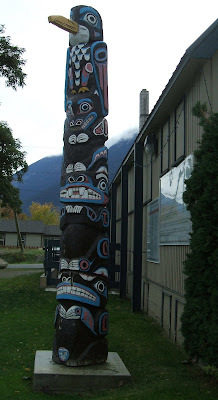 Lillooet, B.C., Canada was originally known as Cayoosh Flat, named after the cayuses, which are Indian ponies. It was renamed in the 1860’s in honor of the Leelwat First Nations living in the area. Lillooet was founded as Mile 0. It was the start of the wagon trail leading into the Cariboo area during the goldrush days, and many areas are still called by their distance between Lillooet and their location, e.g. 100 Mile House, being one of the larger named for their distance from Mile 0. Lillooet has a very interesting history and their museum is full of archives and stories that it is a must-see while in the area. One story that I found to be a great one was the arrival of camels in the area. During the goldrush days, one enterprising man of the area decided that he should use camels as pack animals so purchased 23 of them from San Francisco for $300 and had them shipped up to Lillooet. This turned out to be a bad idea, as their soft feet couldn’t take the terrain too well, but their foul breath and bad tempers made them too difficult to use. The herd soon diminished but they were honoured by the local townfolk many years later when the new bridge leading into Lillooet on Hwy 99 was named Bridge of 23 Camels. Cayoosh Campgound & RV park is located at the end of the Bridge of 23 Camels and where the Seton River flows into the Fraser River. It was a great place to stay for our visit there and that was during the cool October weather, but it looks like an even nicer place to visit during the summer months. 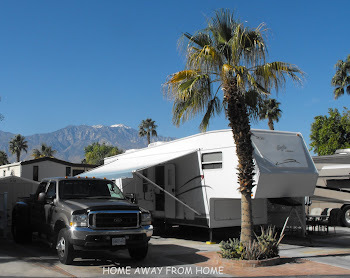 It has many amenities for camping and RVing and nice pull thru’s for the larger RV's. There weren’t many RV’ers there in October but the park did remain open later in the season for the construction men who were working in the area. They’re normally open Apr. 1 to Oct. 30. Lillooet is located on CN Rail lines but regular service was discontinued a few years ago. The Rocky Mountaineer Train passes through Lillooet, and what a beautiful trip that would be. They do have a rail shuttle service operated by Tsal’alh Indian Band which links Lillooet with Tsal’alh and Seton Portage, a great alternative for taking the road, which can prove very difficult at times and possibly closed during winter snowfall. Lillooet has many things to offer those that wish to spend some time in the area. The jade is of great interest to the rockhounds. There is great fishing, rock climbing, hiking and so much more. Those interested in bird-watching will enjoy the local populations of their feathered friends. Their cultural tours are something else to check out. But if all you would want to do is enjoy the incredible scenery, there is lots of that, too. Sent this post to my cousin who lives in the area - thanks! What a breath taking beautiful site, I grew up in Lillooet and my family is still there. I've seen these mountains a million times yet I still find them so amazing and welcoming. I wonder why I ever moved to the flat lands? LOL. Someday I will return to Beautiful B.C. What a wonderful compliment to receive on my blog visit to Lillooet from someone who grew up there, thank-you, Terri.